Interview on Blog Talk Radio TONIGHT! 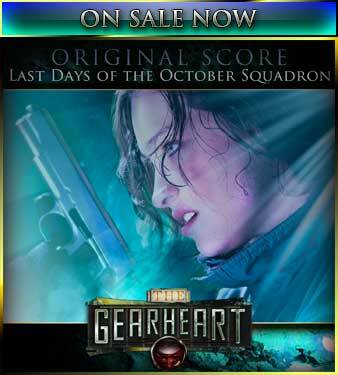 Hey Gearheart listeners! If you want to hear me live and call in with questions, tune in to Blog Talk Radio tonight at 8:00pm CST! Click here for the show link! The Gearheart Live at the Crossroads Writers’ Conference! 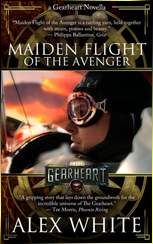 I’ll be attending the Crossroads Writers’ Conference in Macon, GA from February 25th – 27th to read a snippet of The Gearheart! It’s all part of Dr. Amazing’s Traveling Steampunk Literature Show, a sampling of works from several steampunk authors. If you’re in the Macon area, why not stop by and check it out? You don’t need a conference pass to get into my event. Gearheart Challenge: What Cranks Your Gears? No doubt many of you are into steampunk, and understandably so, but the big question is… why? What draws you to the steampunk aesthetic? Is it the airships? The empires? The brass goggles? What is it exactly that makes it so charming? When you get your answer, convert it into hexadecimal, then convert that into binary, then use a difference engine to filter that into spetadecimal, then convert it back to plain English and post the result here! I’ll read my favorites on the air next week. If you could build any sort of science-gone-wrong contraption, what would it be? A mecha-suit powered only by a steam kettle and some electric eels? A doomsday device? A computer that can feel love? Well, when you get your answer, focus it into a high-powered laser and carve it over the faces of Mount Rushmore! I’ll keep taking entries until Saturday. Also, if you don’t listen to the sponsors because you can get the challenge online, you’re making a big mistake! Check out the show and see what I mean! Let’s say that you just got done working a hard day or air piracy, looting the sky armadas of the world for their wonderous treasure. With what do you kick back? A brew? A tonic? Some sort of brewing-science-gone-mad?! Get me your answers by Saturday, and they just might be read on the air!